Ok, so, I’m 12. Almost, at least. I’m always paranoid that my permanent teeth will rot. I’m paranoid about that now, too. And, I grind my teeth. Any suggestions? PLEASE HELP! Hi Malorie – The best way to keep your teeth from rotting is by brushing and flossing. If you are grinding a lot, especially at night, you can go visit your dentist and ask them to make you a night guard (occlusal guard) to protect your teeth from grinding. That is just an appliance like a clear retainer, but thicker so that it prevents your teeth from rubbing together when you grind. I hope that helps, Malorie. Let me know if you have any other questions. Thanks for your comment! I had an extra tooth in the middle behind my two front top teeth. This caused me to get 3 adult teeth early. I had to get the baby teeth and extra tooth pulled. You should go check with your dentist to check for any teeth issues like I had to do. I don’t know if my teeth are permanant or baby , but it’s wobbly and nearly falling out. I scared that it’ll be a permenant and I’ll loose it forever.im 13 help!! Me too I’m so scared!!!! ? dont worry i think i lost an adault. but you can get fake teeth, im 13, i might get fake teeth, also abe lincolin had fake teeth! OMG!!! Same!!!!!!!! It is just in front of my last molar tooth on my top row!!!! It has been really wobbly since the last 3 days and I have no idea whether it is a baby or an adult tooth!!! I am 13 as well and PLEASE HELP MEEEEE!!!!!!! And I don’t see my dentist for another 4 months – Which is really bad!!! If its really wiggly I would take it out. I’m no dentist, but wiggly teeth are annoying! You can get a fake tooth by the way. Don’t worry. Obviously secondary too is erupting…. Same jack same I’m 13 and my front adults wobble a little which is worrying for how long they will last and I have a wobbly tooth but can’t tell if its a baby tooth or adult ? Hello Jenna. I’m thirteen and my dentist told me around middle school teeth take a very long time to come back. I lost one tooth in 6th grade and only now in 8th grade am I starting to see white. Wait it out 6-12 months longer and see what happens. Okay Jenna, Did it have long roots? if so, it is permanent. Otherwise, baby. My tooth was missing for 1 3/4 year. it came in on the top of my gum. Um……hi my name is Elyza im 12 and I have a problem with my lower teeth I have on adult tooth in front of two other adult tooth’s and it hurts……what should I do? Hey Tom I’m 13 and one of my molars has a big cavity which the dentist said needs a root canal but I’m honestly scared to have it done and it might be too late anyways, as that was a while back, but my tooth hurts like mad all the time now, so my question is, do adult teeth wiggle out like baby teeth because I just want the dang thing out! Hi….. don’t suppose your last name is Morgan, is it? To be honest with you of your molars are in and infected you might have to have them remove. I am 29 years old and I had all 4 of mine removed this year. Get all of them done at once though so you do,t have to go through the pain again. I was only in pain for 24 hrs. But everyone is different when it comes to pain. Good luck with the choice that you choose. Hi I’m Jenna I had to get braces May of 2014 and I have them now but I have 4 baby teeth and they are trying like a pink/ clear but they are chipping and I have no cavitys but I was in school and I was chewing gum and this pic of tooth came off and I keep thing that it’s a cavity but I haven’t been to the dentist in like a year so i don’t know what to do and I have axsitey and my dad said to me that I’m fine and I do t have a cavity but what do I do to help me please get back as soon as you can!! My daughters tooth has snapped in the top at the back but I’m not sure if its a baby tooth or not ? Sir, I’m Fourteen, brush twice a day and my dentist says my teeth are healthy, I have all my adult teeth to my current knowledge but my upper left pre-molar, both upper incisors, and my upper left canine wobble, the range of movement can range from 0.25mm to 1mm and I’m scared, I care a great deal about my teeth and intend to keep all/most of my adult teeth before transmitting my Consciousness Into a computer , I’m getting braces soon and I think the problem lies with the root so some advice would be much appreciated. What did the root look like? Hi, I’m 11 and my name’s Livvie. When I was at school, I was wearing a bandana around my wrist and I decided to tighten it with my teeth. So I held it between my molars, but it slipped and banged against one of my teeth that is on the upper part of my mouth. My mom isn’t sure whether it’s a baby tooth or an adult tooth and it’s literally hanging on by a thread, (the tooth) and I don’t know what to do. Now I have REALLY messed up teeth from the start. One of my teeth doesn’t have an adult tooth above/below it, so if I lose it, then I won’t have a tooth in that spot, and my mom is worried that if I lost that tooth that I accidentally loosened, that that might be the tooth that doesn’t have a tooth growing above/below it, and I don’t know what I should do. Oh and in case you wanted to know, my mouth is so crowded that when I lost one of my baby teeth I didn’t have enough room for it to grow and so now it grew behind, like on the gum behind my bottom row of teeth. But anyways, what should I do about my accidentally loosened tooth?? Touch the bottom of the tooth if it is bumpy or has mamelons. Thats how you know. 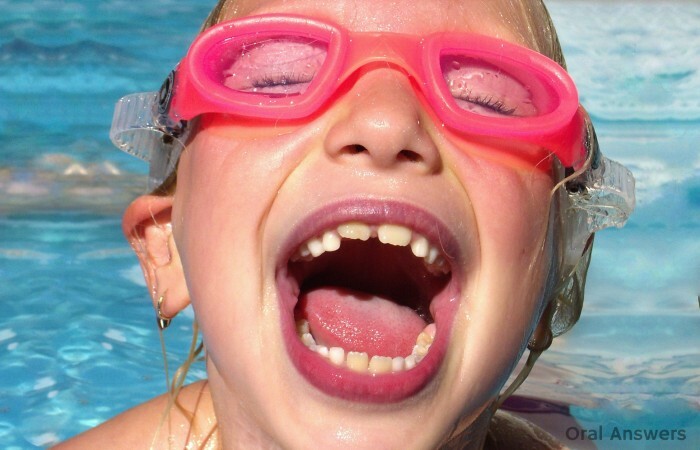 I’m seeing a lot about mamelons on permanent teeth, but nothing on having them on primary. My son had them on his teeth, and they wore away very fast except for one on his top front tooth. I’m trying to explain this to my husband, because he thinks our son has a chipped tooth. Thoughts? Hi Lea – The pediatric dentists at my school tell me that mamelons don’t exist on baby teeth (I think this was actually a test questions once! ), but I’ve seen some baby teeth with mamelon-like bumps on them. It might not be wearing away because it’s not hitting another tooth when your son bites down. If it is large enough to look like a chipped tooth, then it may be possible that he did chip his tooth on some hard food or something else. I hope that helps – Thanks for your comment! Let me know if you have any other questions, Lea. How old are you? If you are in middle school then adult teeth take at least a couple years to grow in. Hey Tom I have a molar with a big cavity that needed a root canal a while back but I just want it out now because it hurts constantly. I’m 13 and I want to know if adult teeth wiggle out like baby teeth or not? But I got a cavity filled and I got Novocain and they didn’t tell me so it hurt me but after no problem I hope you feel so much better ? I’m only 12 my mouth gums are weird and won’t grow also I don’t know if one of my adult teeth are loose and I think I’m about to get braces what do I do!!!! Hi Lauren – It sounds like you’re right about on schedule. Here’s a chart from the ADA that says when each baby tooth falls out. By the time you turn 13, all of your baby teeth should be out. Keep in mind that some people take longer than others. I think I lost my last baby tooth my sophomore year of high school! I hope that helps, Lauren. Let me know if you have any other questions. Thanks for your comment! Hi I’m 13 and I was wondering why my permanent molars look like canines. It may look cool but is it supposed to look like that, do I have a condition? Thanks for pointing that out, Cassandra! I fixed it in the original comment to point to the PDF of the baby teething chart. Have a great day! Hi Tom. I’m 12 years old and my top two canine teeth are higher up than the rest of my teeth and everyone makes fun of me. I was wondering if I would need braces or if it would just fix itself over time. I’ve already lost most of my primary teeth so we are talking about permanent canines. I am the mother of a 6 year old who was riding his bike and got his front tooth loose. The issue that I have is i cant rememmer if its his permanant tooth or baby tooth. He has lost his 2 lower front tooth last year and lost one tooth in the upper front but cant remember which one it was. I dont know if i should loosen it more and pull it or leave it. Hi Mari – At his age, it’s likely that it is a baby tooth, but it’s always a good idea to make sure before you try to remove it. A dental professional would be able to look at it and let you know. If it was a permanent tooth, chances are that it would still have mamelons on it. I’m about to turn 17. I have two baby teeth, the same on both sides, the canines, third from the front. It’s my last year of high school and prom is coming. It’s awful, I know, and they don’t seem like they are going to fall out anytime soon. I just need advice, how can I disguise the fact that I have huge gaps at the front of my mouth when they fall out, if I can do anything to make them come out faster, if I can do anything at all..
Hi i am 17 and i have a loose tooth its on the bottom front the second tooth its shaking and i am really scared if its a adult tooth please help. Hey, I am 14 years old and my milk have always been late in falling out. Now i have one tooth in the front that i think that is milk one, but i’m not sure, cause i don’t remember it falling out. Could you tell me how to reconogize is it a milk or permanent tooth, and if it milk one, could you tell me how long would it take for new one to grow, cause i’ll look awful with missing tooth :(. My daughter is 6 years old and had a bottom tooth knocked out when she was 2. She has lost another two teeth at the bottom and 1 of the teeth that have grown in has a yellow spot. What does that mean. Also the permant tooth from the tooth that was knocked out, still has not grown in. Should I worry? My son is 15 yrs old and still has his baby canine teeth. His adult canine are located on his upper jaw but are inside so they arent showing at all unless you check with xray. His front teeth look ok. My question is should I have those upper teeth move to the position where they should be or should I just leave them where they are? well im 17 and i cant ever remember my baby molars coming out and recently i had a hole in one of the upper molars and they said i can have an extraction or root canal done. so i was wondering if it was extracted would it grow back since its still a baby molar? I’m 11 and both of my premolars have fallen out (one on each side) I never had very good dental hygiene because toothpaste makes me vomit, so I’ve had to use dental chewing gum. Can anyone help? Hi, 1st of all thank you for taking the time to write out all this information. It helped so much and made me more at ease. It’s amazing there is not more information like this out there. My question is on the color of the Adult teeth coming in. My son is 5 he lost his front 2 lower teeth at the same time along with the Adult ones coming in perfectly 2 days later. I noticed the color is off. However, it is not yellow, more like a ash/white color. My question is does different colors mean different things? I am happy to know that the difference between adult and baby teeth is normal but was not sure if the type of color meant anything and if it’s something I should be taking him to the Dentist tomorrow for. Again, Thank you for your time! I I’m 11 years old and I’m very concerned about my sister’a tooth. Her tooth is about to fall out but I’m not sure if its a baby tooth or an adult tooth, it has bumps on it. But it’s white. I’m not sure if its an adult or baby. Please help!! Me and my sis are freaking out about this. Okay I’m 15 years old now and I still have 2 baby teeth, you know the ones beside my 2 front teeth on bothsides? Well I’m really worried that I might not loose them I mean I don’t think that there are teeth growing underneath them to replace them so does that mean I’ll never loose them? And there’s my one canine tooth that is at the very top of my mouth so the roof of my mouth and it’s been there since I was 8, but my dentist has made a space for that tooth to be brought down but how are they gonna drag it down and put it in place? Okay and last question. I have these gaps in between my teeth and I don’t like them at all! Especially the triangular shaped one between my 2 front teeth can these be fixed? Plus the ridges on them can they be fixed too? Thanks soo much for your time! My Goddaughter is 5, she fell and knock out her front permant tooth. I am worried that she needs a spacer sense her other front tooth has not come in (baby tooth is out). Hi, I’m slightly over twelve and one of my teeth (the 5th tooth from the bottom left front tooth),slightly shaky..I’m really scared and worried that it would be a permanent one.. And I am wondering if it is a disease or something? I read lots of article about gum diseases and they just got me more worried. My mom wouldn’t let me go to the dentist and I have no idea if I dropped it before. That tooth is also the same siz as the others which I also don’t know whether they dropped or not. N I am really worried since I can’t determine if it is a permanent tooth. Please help!! Please reply back…and is it safe to wiggle your loose tooth? Hey I’m 13 and I have noticed that almost all of my teeth are very so slightly shakeing they are all adult teeth and I do brush with a sonicare e series tooth brush one of my teeth on my bottom jaw 2 away from the vampire teeth is shakeing noticeably and I feel like it will fall out eventually. Any ideas on what’s going on? 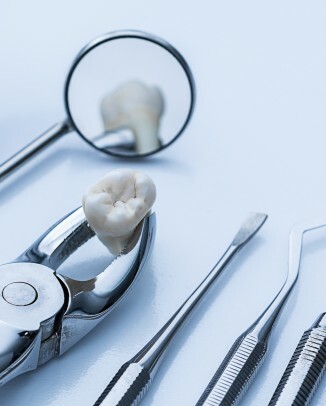 Hi Dennis – Not sure what’s going on, but it would be a good idea to have your dentist check it out to make sure that if there is a problem, that it’s solved quickly before it turns into a bigger problem. I hope that helps – have a great day! 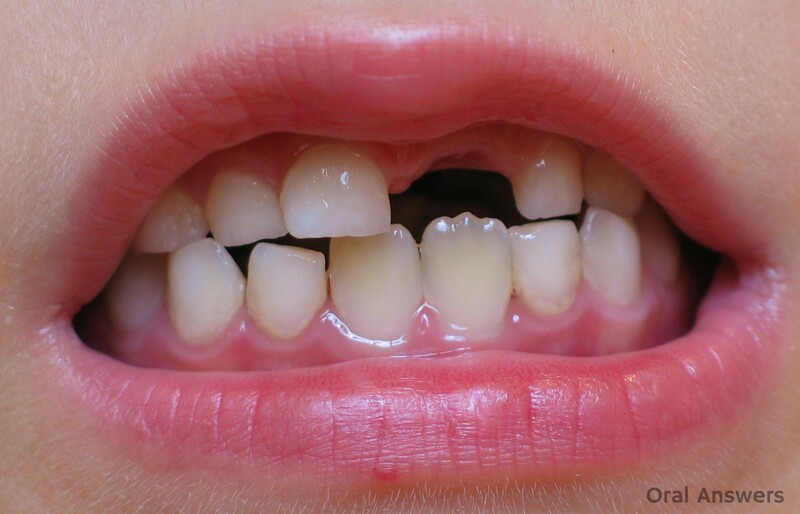 Hi Crystal – Are both teeth permanent? If so, you may want to get a consultation with an orthodontist to discuss whether or not braces and/or other options can help move the teeth into proper alignment. If the first tooth is a baby tooth and it’s not loose at all, it may need to be pulled to allow space for the permanent tooth to erupt in proper alignment into her mouth. I hope that helps! Hi , i’am 13 and still have a couple baby tooth i have this one tooth on the bottom of my mouth that’s loose and i don’t know if its a baby or adult. Its really white colored and under it the gum s kinda white. Hey, I’m 14 and as far as I can tell all my baby teeth are gone and I haven’t lost a tooth for about maybe 4-5 years ago and I’m really paranoid that my adult teeth are going to fall out or rot, etc. and sometimes I get tooth aches that go away within a few hours maybe but it doesn’t happen too much. It hurts when I eat and anything with alot of sugar in it like chocalate, candy, etc. and I’m sure I have cavities but I don’t since it’s been a while since I’ve been to a dentist because my mom doesn’t think I need to see one (probably to avoid the cost to see one) and sometimes my paranoid part of the brain makes me think my tooth feel a bit loose and I can’t tell if they are or not. I was just wondering, how do I know if I might by any chance still have any baby teeth that I may not be able to see as well like one of the molars, or how do I know if they are rotting or whatever? P.S. I brush my teeth about every night or every other night (depends if I remember to or not) and I do floss after brushing. Hi Devon – It would be good to get a dental checkup to make sure that nothing is going on. 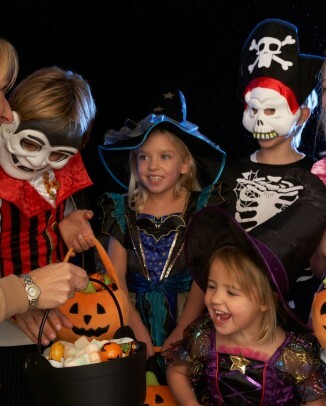 Some sensitivity can be normal, but it would be good to make sure there aren’t any cavities. If there is something going on and you wait until it gets really bad, then it may be harder to save the tooth. You’re welcome to come to Bridgewater if you’d like! Have a great day! Hello, I was wondering if I could get some advice about a, err, weird problem that recently arose. So, I’m 18. And I have a weird mouth. A few extra teeth in it, and another five or six buds upin the gums (no problem there). I also still have one of my baby teeth, the molar right next to the bicuspid on the right side of my mouth. My dentist thinks it’s odd, but there haven’t been any issues with it. Up til last night… It’s started chipping away. Chunks of it were falling out last night. Now, seeing as it’s here years past how long it should, and since the rest of my teeth are perfectly fine, I figured it makes sense that this would happen. But of course, I’m not sure. Any input on it? Hi Kat – I’ve seen baby teeth last until people are in their 50s and 60s. It depends on a variety of factors. 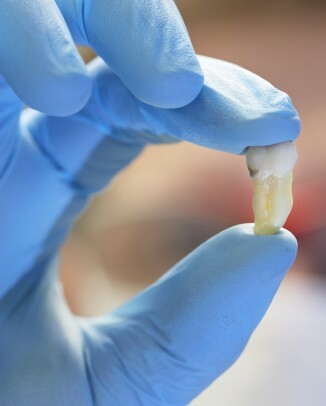 if it’s breaking down, the rest of the tooth likely needs to come out as well. Is there a permanent tooth underneath this baby tooth? I hope that helps. Thanks for your comment! I’m not sure if my tooth is a baby tooth. I’m 12 and on the top my left side second from back if loose. You’ve probably lost it by now, Katie, but that sounds like it’s a baby tooth. I have a tooth that just fell out and I don’t know if it’s a baby or a permanent! The tooth that fell out was a molar and was the first molar closest to my front teeth. It was super white and had a few tiny bumps but not like the picture above. It was whiter than my permanent teeth that I know I have. I’m 11. Please help! Hi Victoria – That sounds like it’s a permanent tooth. If it’s the one just behind the pointy tooth, or even the one behind that, those are both baby teeth and you’re right around the age where those will be getting loose and coming out. I have a wobbly tooth but I can make out if it’s a baby or a perminant I’m 12 years old. I have a wobbly tooth at rear of my mouth. Because its not a front tooth, I am unable to tell if it is a baby, or permanent tooth. I have lost all baby teeth at the front, and several at the back. I’m just un sure and worried that it might be permanent. If it helps, I am 16. Hi, I’m 13 and I recently lost a molar. I’m not entirely sure but I think I have lost this took before so I need clearance. When it fell out, I feel a hard bump underneath it like a tooth was already coming in. I’m hoping that is what it is. Please give me some clarification. Hi im 9 turning 10 in 3 days!!! 🙂 and i need to loose a few teeth its just hard cuz idk what are permanet or not my permanent teeth have been in long enough that now their white! i cant tell ( is that bad?) And also on the mamelons are they the ones at the bottom if so I think i know what ur talking about. where as on the other one I can but then again, it’s very late for a canine at the age of 12. You can talk to your dentist and see if that helps. U have the same problem and if you do still have the tooth then you can do this see if it works. Hi! I am 11 and 4 of my premolars and a molar wants to fall out. I dont no if there permanent teeth or not because I cant remember when my teeth fell out last. Someone please if I will loose them forever or if they are baby teeth. And please how do you differentiate from baby teeth and permanent teeth please. Thank you! hi. i am 12 years old i have cavity on one back tooth and i have 3 that is a little brown/black. i am worried if there are not baby teeth. my parents can’t afford to bring me to the dentist. what can i do to prevent it from getting worst. This is very valuable information. Also, I think that the baby teeth are not as robust as the permanent teeth are which is the reason why they are more prone to tooth decay than the permanent teeth. my name is likhil, i am 29 years old. I am wondering can anyone still have baby tooth at my age. If yes i have one, i got to know this as this was told to me by my dentist a few years back. Now this milk tooth is about to fall and, i am just wondering if this falls will a permanent one grow or i will have to replace it with coametic one. It is my canine tooth thats about to peel. Hello! My tooth is wobbly but I am not sure whether it is a permanent tooth or a baby tooth because some of my baby teeth have bumps such as my adult teeth so I am not entirely sure. My adult teeth and baby teeth are white so I can not tell the difference in a mirror and I am very worried so please help. I chipped my tooth today while eating chocolate. I do not know if it is a baby tooth or adult tooth. But now the top of my chipped tooth that is still in my gum feels really thin. Is this normal? Hey, I’m 12 and my tooth is wobbly. I don’t know if it’s an adult tooth, but it has no visible signs Of decay. Hey I’m 12 my name is brett and I just lost a bootom molar and I’m freaking out because people say I have perfect teeth! And idk how many teeth I have lost! Sooooooo. I was hoping you can help figure out if my son lost a baby tooth or an adult tooth. He has just gotten a new basket ball for Easter. He was practicing dribbling the ball when it hit him in the mouth and caused his tooth to come out. He told me he was certain that is was a loose baby tooth and he did not appear to be in any pain. Is it safe to assume this was a baby tooth? Hello i need help tomorrow im going to the dentist and im taking out my second moral out because my adult tooth is coming out what os the procedurprocedure? Can you please reply to my question immediately!!! Hello i need help tomorrow im going to the dentist to get out my 2nd molar tooth because my adult tooth is coming out can you please tell me what are the procedures because im very scared and im 13 years old thank you so much! Hi! I’m 14 years old and one of my back tooths just fell off as I was eating…It was bleeding for a second, I’m not feeling any pain now or before, was it an adult tooth? I’m really scared since I can’t see if it’s one of the baby teeth so it fell off or is it an adult one? I feel a hole of course but will the adult (if that’s the case) appear in a month or two like previously? Hello, I’m 11 years old. I have one of my bottom canines, well, the tooth beside the canine, hanging halfway off of my gums. Most of my frontal teeth have grown in but I’m not sure if this one is permanent or not. It’s shorter than the other ones, and whiter, but I don’t trust myself on that. It also was wiggling very easily when it was fully attatched. Anyway, it continues to hang on my bottom gum because I want to know if it’s permanent or not. Also how long does it usually take for it to grow back in? Thank you! I am 13 and I have a really loose tooth. But I think it has mamelons is there anyway to properly test it? I’m 11 years old and I was recently chewing gum and my tooth started hurting. I soon discovered it was loose but I’m afraid for it to fall out because I’m not sure if it’s an adult tooth or not. And I don’t forever want to be missing a tooth. Hi , I am 12 (13 in October ) but my baby teeth have not come out yet. My dentist said that if I don’t have all my baby teeth out by July, I would have to have them taken out, but the problem is is that I don’t know which teeth it is but I heard her say I need my c’s and d’s (England) out-can you tell me how many teeth from the front they are please. Hi, my name is Rikki 14, almost 15, and I’m not sure if I’ve lost all my baby teeth. I have a few gaps in my teeth and there are two teeth that are smaller than all the rest of my teeth. I’m not sure if they’re adult or baby teeth because they’re very white and not very similar to the rest. 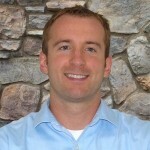 Hi Rikki – I didn’t lose my last baby tooth until I was a sophomore or junior in high school – I was late! There could be some baby teeth left in there, your dentist will be able to let you know at your next visit. how long will it grow again? Hi, im jahne im only 13 years old ang my permanent teeth broke All of it is gone my question is will it grow again? I just lost one of my canine teeth but I’m not sure if it’s a baby tooth or not? PLEASE HELP I’m really worried about it. I am 12. Hi, this is Madison and I’m 12 years old. Lately I have been terrified that my permanent teeth are going to come out because they keep getting loose. And I know it’s not baby teeth because I only have one baby tooth left and it is already coming loose. I looked on a website that it could be my teeth shifting but for that to happen I would have to have braces – which I don’t. This has happened to 3 of my permanent teeth and one of them is my canine teeth! I don’t know if this is useful information, but I also use to grind my teeth at night, but I don’t where my night guard anymore because a) my permanent teeth are still growing in and I can’t get a new one until they do, and b) I thought I had stopped grinding my teeth, but lately it feels like my half sided teeth ( because of the grinding ) are raw or rotting. Could that have anything to do with why my teeth are loose at this age? What should I do if they are rotting or if they are coming out? Is this normal and what can I do to fix this? And who should I go to if it needs to be fixed? 2 of my teeth have just fallen out each 2 spaces away from my top fangs but im really worried because i dont known whether they are adult or baby.I am 12 years old and i dont know how many teeth are meant to fall out.Are your fangs meant to fall out? Hi! I’m 12 and I had a loose tooth before today and I always drag it out and wiggling it, but I don’t know if it is a a adult tooth. Is it safe dragging loose tooth out? Also adult teeth should not be that easy I think. Hi, I am 12 and one of my teeth (bottom left) became wobbly around a month ago, around the same time another tooth of mine did, around 2 weeks ago the one on the right came out which was fine, but the one on the left is still wobbly and hasn’t showed any sign of coming out. I am really worried in case this is an adult tooth. I do not know. I don’t know whether this might be because unfit really use the left side of my mouth when eating so the tooth on the left got knocked around more?!!? Thanks for reading and I hope you can get back to me. My daughter is 6 her front baby tooth is extremely loose but wont come out as her root is very long. My concern is that it is turning blue. Can the root be an issue with her adult tooth?? You should pull it out because the tooth is starting to rot. um hi I’m Evie im 12 years old and the tooth I just lost was wobbly for weeks and I removed it myself and I know that was a bad call but now I don’t feel any adult teeth coming and it just feels like a hole so I’m worried. also when it came out I started feeling dizzy and a bit sick and I wander if that had anything to do with it? I m 7yr and i have 4 front up milk teeth fallen and only two permanent came out same down 3teeth fallen and two only came out is it to worry or normal? It might just be that some of the milk teeth are taking longer to grow in. I’m 11 and a few years ago, one of the dental places I go to put, like, caps on my molars because they said that they were all adults. Then, about a year ago, one of my upper molars got wiggly and fell out. I was hysterical because I thought it was an adult tooth. A couple of months ago, a lower molar got wiggly and I left it there and it got stuck in the wrong place. Today, my other lower molar got wiggly and fell out. I realized that I could see a jagged white thing at the bottom. When I showed my parents, they said that it was a tooth coming in and also made me uproot the wiggly tooth that had gotten stuck in the wrong place. I’m just so worried though that the jagged white parts are part of my jaw, not a tooth coming in. I don’t know! Are the three molars that fell out adult or baby?!?!?! Please help. I’m 13 years old and I recently got braces. I have a new tooth growing in and it is smaller than my baby tooth. So half of my baby tooth is out and the other half is completley rooted in. It is pretty much sideways and the braces are making it hurt more what do I do? I’m 12 and one tooth is wiggling. I can’t tell if it’s a baby tooth or a perminet tooth. Plz help I’m very scared.??? Hey we have exactly the same name lol !! 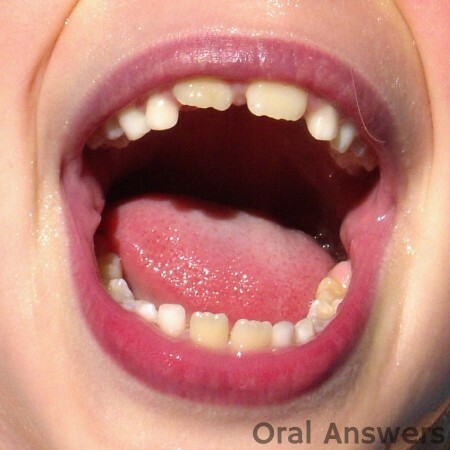 My child fall into a table and I need to know if her tooth is a baby one or her big tooth, because it is hanging out?? Okay, I have two problems:1) I have a loose tooth second to last on my top row and I am 12 and don’t know if it is a permanent or baby tooth. I don’t recall ever loosing it though. 2) I’m due to get braces soon and one of my adult teeth isn’t growing to fast although I can touch it. Along with having my loose unidentified tooth. I don’t know if this will have to postpone my braces application. I’m worried because I’m totally self conscious about my teeth and want to get these braces on and off as soon as possible. PLEASE HELP!! Im 15 and one of my teeth just started to hurt and is a little wobbly is there a way to prevent it falling out at this stage or is it over. Hi my six year old son’s front tooth has been a little wobbly and I have an appointment to see dentist but he got pushed at school today and now it’s really loose and turning black. I’m worried it’s not a baby tooth. Hi I’m 11 and one of my teeth is loose. But the problem is, I don’t know if it is a baby or adult. I’ve read all the differences above but I’m still having trouble. The tooth is a bit pointy so it’s hard to see the mamelons if there is any. What’s getting me confused the most is that it’s next to my two front teeth (the top row) and usually you loose them first.. I think? Please help. I love pulling my tooth out but I’m scared it’s an adult. Hi I’m 10 and one of my is loose. I’m not sure if it’s a baby tooth or an adult. I’m scared if it’s an adult tooth. Please help. Hi I’m Tammy and I’m 13 and like in Southampton England so I have a tooth and it really hurts when I eat on it I think it’s a baby tooth if it is what’s the symptoms and what if it’s an adult tooth ?? I am of 13 and my 4 teeths are moving. U can tell me that it may be the milk teeth or permanent teeth. I’m 24 and I think I still have a baby teeth. Is this possible? I have a tooth and it wiggly on my right second to last miler on the top of my mouth and I cracked it out of its socket twice. I don’t know if I should take it out but im scared I grind my teeth a lot HELP!!! I’m 12 and I’m scared of my permanent teeth rotting…..I need help on making sure that they will not rot and need any tips on keeping them white….I also have a tiny rot/hole in a tooth that was caused by another tooth next to it which had a big hole but when that one went the one behind it had caught it’s rot and I’m not sure if it’s a permanent or baby tooth??? My name is Jonah. I am 13 years old, and I will turn 14 on March 14th. One of my teeth recently fell out, and I’m scared it was a permanent tooth as opposed to a deciduous one. The gums around the gap are slightly sore and I cannot see any signs of a new tooth emerging. I have a dentist appointment on Wednesday, March 9th. I will ask the dentist then, but any help now would be appreciated. Hi i am about to be 12 my lower canine is loose .Is it a permanent or baby. Hi I am twelve years old my tooth felt weird I have no idea why it did ,because it happened out of nowhere,but I pushed it with my tongue thinking there might’ve been something there (I’d just eaten a chocolate) it then came loose and now its only hanging from a little bit of ttoth the tooth is a molar. Is there anyway you could tell me wether it is an adult or a baby tooth?? Hi i’m 13 and i have a feeling that i hve something growing at the back of my teeth ( it’s not a molar cuz i already have 3 molars growing) and i don’t know what it is. Whenever i am eating that thing bites my skin inside and it hurts a lot. Even i lost a canine but i don’t know whether it was a milk or permanent one even though it has been only two days since i lost it. I brush my teeth well and do floss too. I am scared….please help? your supposed to have 5 molars by the time your about 18 or 20 because ur 5th molar is your wisdom teeth but some people dont get wisdom teeth so ur either gonna get 1 more or 2 more .___. so yeah it is another molar ._. You’re teeth are rotting and you need to get to a dentist ASAP or you will loose many more of your teeth, more teeth are getting loose and falling out because your teeth are connected and they will spread out into the gum area and cause rotting to other teeth please go to your dentist to get this looked at, im 11 years old and the same thing was happening to me about 5-4 months ago, trust me it is not fun getting them filled and fixed so start brushin! Hey I’m almost 17 years old, I bit down hard on a spoon and now I notice one of my bottom canines seem a little loose, they are small but I don’t think they’re baby teeth. Could they be? I’m 12, and I have a tooth that’s been loose for a pretty long time now. Today it feels more loose than it ever has, and I have no idea if it’s a baby tooth or a permanent tooth, as it’s way in the back, making it harder to see. Is it normal to still have baby teeth at this age? Also, on some days it feels more wiggly than normal and I just wait those out, but today t feels more wiggly than ever. I really don’t want to pull it. What do I do? Same, I’m trying to figure out why I haven’t lost all my teeth and I’m 13 so I’d probably tell your mom or dad, and they would takr you to the dentist ? I’m 13 and about a month or two ago I notices that my 4 tooth on the left was loose and now it hurts I don’t know what to do, I’ve looked up multiple things but they don’t help, Please Help, Thanks ? Hey I’m Riley and I’m 11 years old, I have a tooth with a tooth popping out from the side but it’s very small. The big tooth is wiggly, I’m not sure if it’s a baby tooth or an adult one, what should I do??? Long roots? As a child I had most of my baby teeth pulled because the adult teeth were growing in front of or behind the baby teeth. I basically had a double set if teeth! But I had every one pulled, roots and all. They were at least an inch in length! I am now in my 30s and believe it not, I still have 4 baby teeth! I have had x-rays done only to find that the roots for the adult teeth were not present. Within the past couple years I have been having issues with my teeth caused by a medical condition. The adult teeth are rotting away, breaking and very brittle where as the baby teeth are still standing strong! I have a very wobbly tooth in my lower set and im not sure of its pernanent or a baby tooth plz help. I can see a bit off tooth at the bottom so could that mean its a baby tooth?? ?? Okay so i am 12 and the last time i was at a demtist was around 8 months ago . i had just lost a tooth and the dentist told me all pf my baby teeth had fallen out . tonight i just saw that one of my tooth is bsgginning to move !!! Do you think the denfist was wrong (which i dont think but who knows) or that i will loose a permanent tooth ?? This is kinda scary for me cause if i loose a permanent tooth i am so going to get bullied HEEEEEEELLLPPPP PLZZZ ?? Hi I am afraid I have a cavity what do I do? HELP PLZ!!! My two bottom canine teeth have been loose for a couple of weeks and they haven’t changed I am so scared that they are permanent teeth!!!! PLEASE HELP ME!!!!!! If the tooth is permanent and pulled out is it able for a new tooth to grow? I am 12 I have a loose tooth. Well it was wiggling a little and it’s a pretty big tooth so I was scared of it was an adult tooth. I bit into a hard pretzel and now it’s about to fall out and keeps cutting my tongue. How do I know if it is just a baby tooth or an adult?!? My K9 teeth im annoyed about because they wobble and are kinda lose but I believe they are permanent. Please doctors help us know whether permanent teeth can grow again or not when accedentary removed on children above 7yrs, coz many unanswered questions are such condition… Plz help us. Hi, I’m 13 and for like a year or more, on the top row of my teeth, the very right side in the back, my 2nd to last teeth (one of my molars I’m pretty sure) is LOOSE and from time to time it starts hurting really badly and I can even wiggle it. I got my braces yesterday and it hurts even worse everyday now b/c of the pressure from the braces. WHAT DO I DO!?? I might 16 years old and still have baby teeth. I have a wobbly tooth and I’m not sure if it’s a baby tooth or not as it’s not very wobbly but im having a tooth ache in it and when I wobble it it goes away. Any help ? Hi I’m 10 and the right molar closest to the front of my mouth is wobbly but I don’t know if it’s a baby tooth or a permanent tooth. Please help. Hi i am 11 nearly 12 and one of my teeth (bottom left 1st molar) has cracked from the top, I did research and found that it is a baby tooth because it is white, but it is a little bit yellow ish not much. Should I worry about it being removed or will it grow into a adult tooth?